President Trump’s 2018-19 budget proposes to replace a portion of SNAP benefits with a package of foods selected and purchased by USDA. Budget officials claim that this will save money because USDA can buy the foods more cheaply at wholesale than consumers can at retail. The “America’s Harvest Box” would contain shelf-stable foods such as canned fruits, vegetables, seafood and meat, shelf-stable milk, ready-to eat cereal, pasta, and peanut butter. Officials stress that the foods included would all be nutritious and “100% US grown and produced,” in keeping with “the President’s leadership on Buy American.” The proposed plan would apply to all households receiving $90 or more in monthly SNAP benefits. This proposal constitutes an almost mind-boggling regression in food assistance methodology, ignoring the lessons of three quarters of a century of experience with programs to enable poor families to share in the nation’s agricultural abundance. On January 23rd 2018, the CUNY Urban Food Policy Institute hosted the New York City Sugary Sweetened Beverage (SSB) Roundtable, an event that explored current trends in SSB policy and opportunities for future action. Invited speakers summarized the research on sugary drink consumption, how it affects populations, and policy options for reducing consumption. 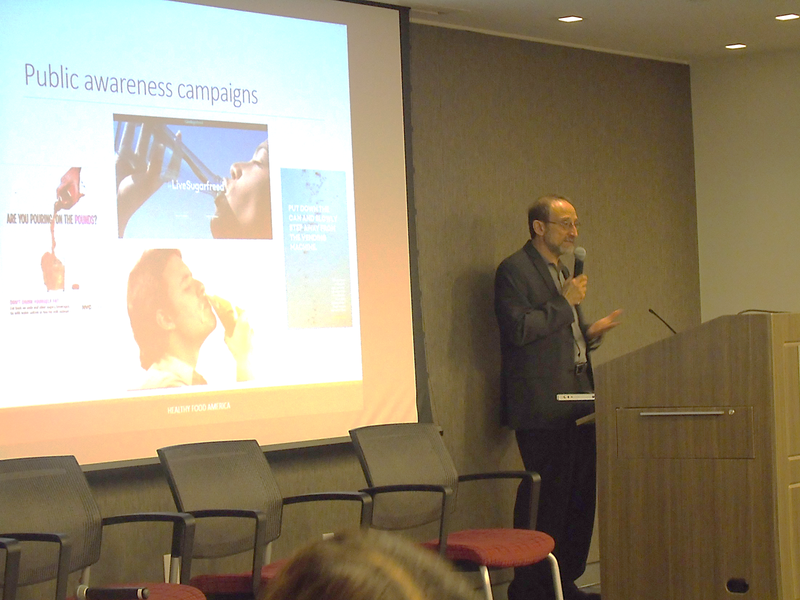 The Roundtable, attended by about 100 people, marked the beginning of a collective effort to build a coalition to advance sugary drink policy in New York City. By discussing policy options, listening to community leaders, extracting lessons learned from past efforts, and developing strategies for overcoming obstacles, participants took the first steps towards advancing new sugary drink policies in New York City. Countermarketing succeeds by exposing the motives behind the advertising of unhealthy products. It worked for teen smoking — could it do the same for junk food? Institute faculty fellow Chris Palmedo explores this question in an interview published in Knowable. Palmedo, an associate professor at the CUNY School of Public Health, discuses an article that he, Institute Director Nicholas Freudenberg, and their colleagues published in the Annual Review of Public Health in 2017. In the interview Palmedo explains how science-driven, field-tested marketing campaigns can protect consumers by undermining the messages promoting unhealthy products. The Institute is using this evidence in its work with the Youth Food Countermarketing Network. As college tuition goes up, affordable housing becomes scarce, wages for young people stagnate and larger numbers of low-income students enroll in college, some students are forced to spend less on food so they can afford tuition, transportation and books. A 2015 survey of more than 4,000 students at 10 community colleges across the country by the Wisconsin HOPE Lab found that 1 in 5 students reported the highest levels of food insecurity. Here at CUNY, a 2015 study by CUNY Urban Food Policy Director Nicholas Freudenberg and his colleagues found that 15% of CUNY undergraduate students under age 30 report that they are often or sometimes hungry. About 60,000 CUNY students are estimated to experience some level of food insecurity each year. The study also found that students experiencing food insecurity had lower grades than those not facing this problem, an association reported in other studies. In recognition of this evidence of food insecurity among college students, in his January 2018 State of the State message, Governor Andrew Cuomo proposed a new initiative to place a food pantry on every CUNY and SUNY campus. Staff from the CUNY Urban Food Policy Institute and Healthy CUNY, a university-wide initiative to promote academic success by improving the health of CUNY students, are working with the CUNY Office of Student Affairs to implement—and expand—the Governor’s No Student Goes Hungry Program. Left Photo-Hostos Food Security Advocates: Whitney Duncan, Namizata Kamagate, Arlenny Cruz, Feliz, and Lazare Dada. Right Photo-John Jay Food Security Advocates: Emilie Quinones, Alyssa Clarke, Brittany Applewhite, Ronnette Cox, and Stacy Espinoza. To advance the goal of ending food insecurity among CUNY students, the Food Policy Institute and Healthy CUNY launched the CUNY Food Security Advocates Project this semester . This demonstration project focuses on preparing students at John Jay College and Hostos Community College to become advocates who can take action to reduce food insecurity and hunger at their campuses. The project offers a credit-bearing course and a campus placement to prepare students to educate their peers about programs like SNAP (Food Stamps) and WIC, a program for pregnant women, new mothers and young children. 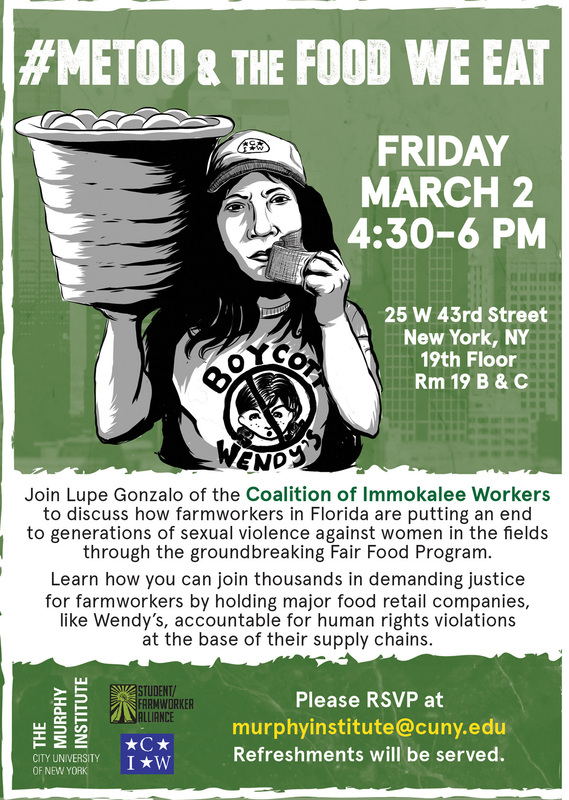 Food security advocates also connect their peers to campus food pantries and Single Stop centers, combat the stigmatization of getting help for food insecurity, and identify and seek to change campus, CUNY and other policies that block access to healthy affordable food. Advocates who successfully complete the course and placement are awarded a stipend of $1,000. Currently, 13 John Jay and 8 Hostos students are enrolled in the Food Security Advocates Program. Support for this program is provided by the Jewish Foundation for the Education of Women. 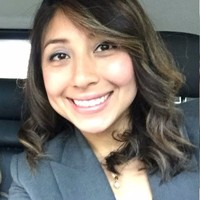 To coordinate the CUNY Food Security Advocates Project, the Institute hired Kathleen Delgado, a registered dietitian and nutritionist. Kathleen has been working with community food and nutrition programs for almost a decade. Her passion and curiosity for food and nutrition-related issues stem from her lived experience as a first-generation Ecuadorian immigrant in New York. 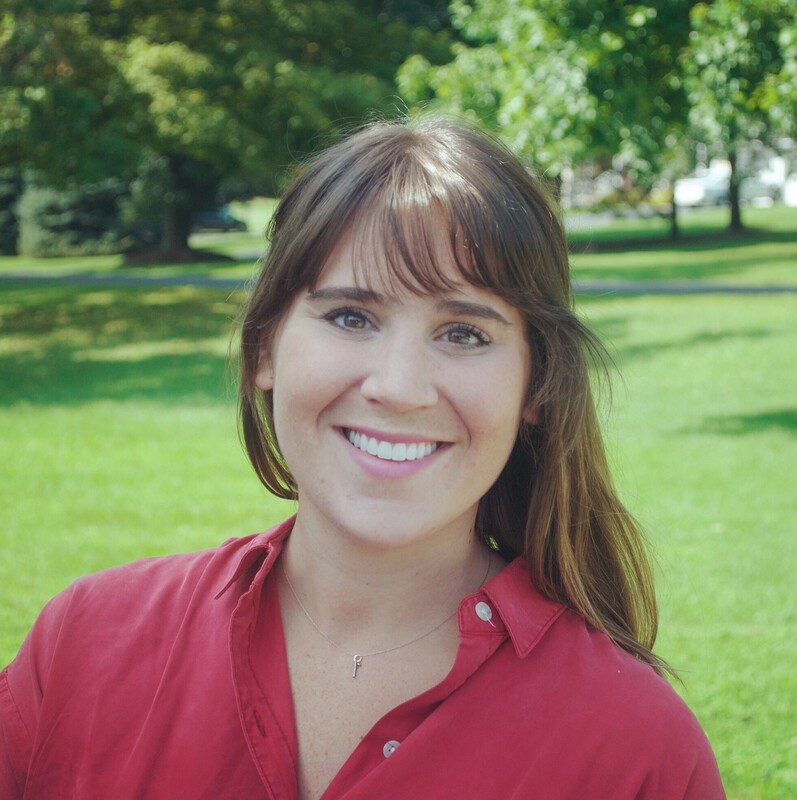 Kathleen earned a bachelor’s degree in Nutrition and Food Science from Hunter College in 2011and a master’s degree in Nutrition and Dietetics from SUNY Oneonta while completing a dietetic internship in 2012. She is currently a doctoral student with the CUNY School of Public Health and Health Policy, and hopes to continue finding solutions to issues of food security and wellness for New Yorkers. The Institute is pleased to announce that Kylie Repasy has joined our team as a Research Assistant working on our research project for the Good Food Procurement Program. Kiley started her career in education, teaching science in Jacksonville, Florida. While in Florida she became active with the Healthy Jacksonville Childhood Obesity Prevention Coalition and worked closely with their Food Policy Council. Additional work with the American Heart Association’s push for the Healthy Food Financing Initiative in Jacksonville inspired Kylie to return to school to pursue a master’s degree in public health and health policy. She’s currently in her final semester at Columbia’s Mailman School of Public Health. 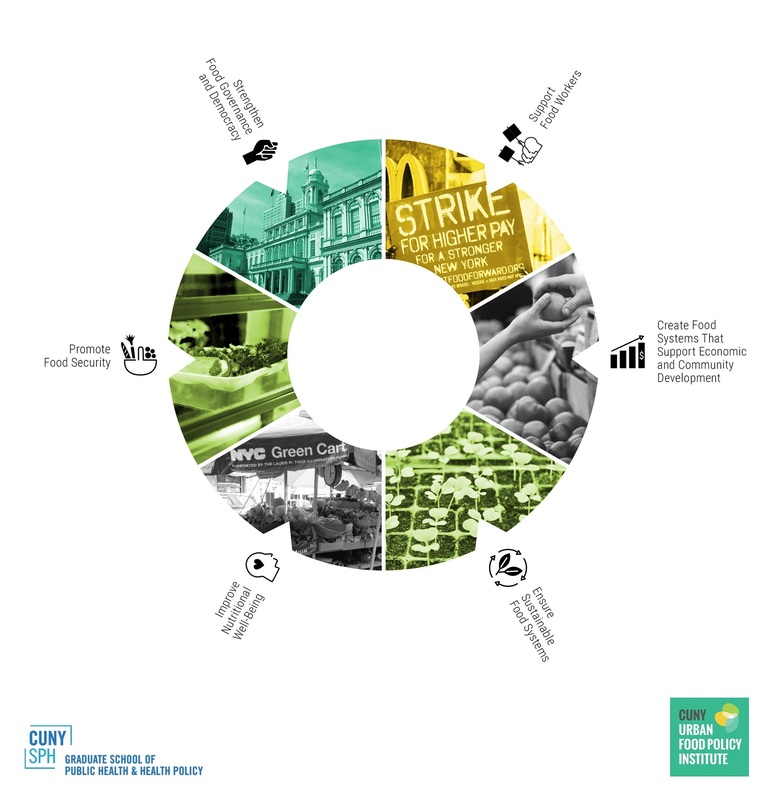 The CUNY Urban Food Policy Institute is seeking two new senior staff positions. The Director of our Food Policy Monitor will coordinate our policy analysis and advocacy projects and oversee development of policy briefs, policy forums and the newsletter. The Director of Evaluation will provide scientific and programmatic direction to the Institute’s evaluation projects. Closing date for applications is March 9 or until position is filled. For complete job descriptions email UrbanFoodPolicy@sph.cuny.edu. 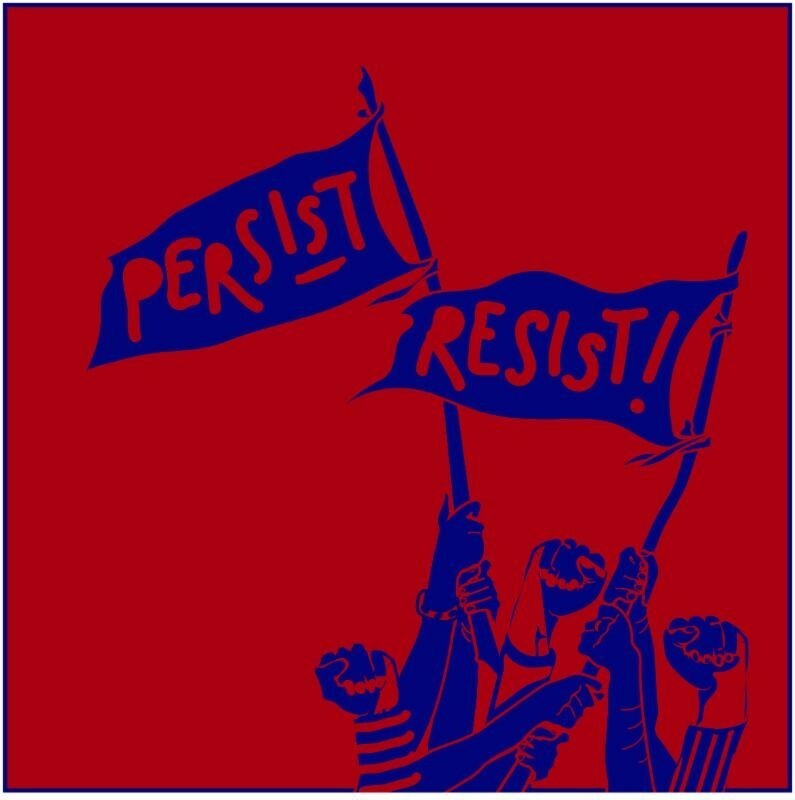 This year, the 2018 Just Food Conference will convene urban and rural growers, social justice activists, food entrepreneurs, CSA core group leaders, Community- Run Farmers Market managers, youth justice leaders, food policy advocates, and other cross sector stakeholders to share how "Persist/Resist!" resonates in their varied work and experiences. Social justice rooted healers and practitioners will also highlight how healing is a form of resistance and how it is integral to the long-term commitment of achieving racial equity and food justice.